In 2010 Mylène Farmer, the most popular French artist in the world, surprised fans when she released her first album without longtime collaborator Laurent Boutonnat, Bleu Noir. Her formula with Boutonnat was simple: Laurent wrote the music and she wrote the lyrics. At least that’s how the credits read. I should think there were times when she helped create the music and Laurent suggested a lyric. Suffice to say, they had a wonderful, highly successful working relationship, not unlike Elton John and Bernie Taupin back in the ’70’s. But for whatever unknown reason(s), Mylène decided not to work with him on Bleu Noir, this even though her previous album, Point de Suture, had four number one singles, proving that together they were still a force to be reckoned with. Instead of Boutonnat, Mylène collaborated with RedOne (of Lady Gaga fame), Moby and Archive. And, guess what, the album did great, reaching diamond status within just three weeks. But she worked with Boutonnat again on her following album, Monkey Me, perhaps because many fans complained about his absence on Bleu Noir. Or perhaps their relationship — only they know if they’re just friends or a couple — had gone sour and was now repaired, so they wanted to collaborate again. The album was a big success though, also reaching diamond status within roughly a month of its release. But some fans complained that it sounded outdated. (Clearly, there are always going to be naysayers, but they certainly seem to devour all of her albums anyway.) Perhaps Mylène heard their cries, or maybe things went south between her and Boutonnat (again? ), because she did not work with him on her new album, Interstellaires. Maybe she just wanted to write the music herself for a change? 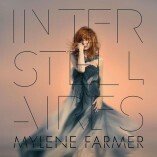 She’d done so occasionally on previous albums, but on Interstellaires she co-wrote the music for all but one of the songs with producer Martin Kierszenbaum, aka Cherry Cherry Boom Boom (another Lady Gaga collaborator). 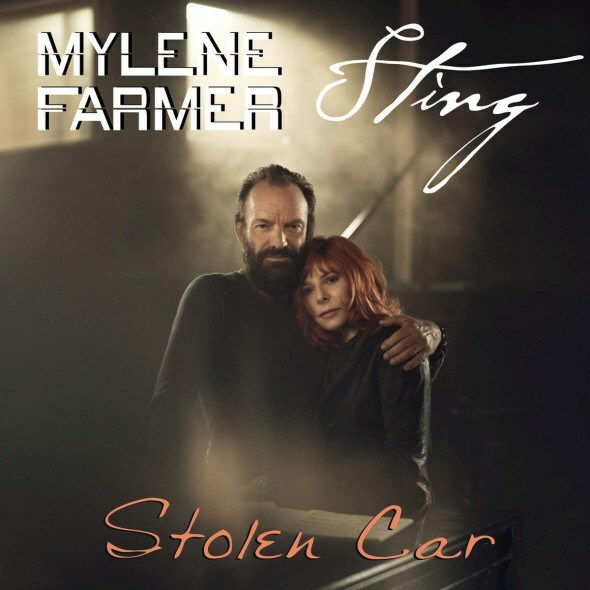 The song she didn’t author with Kierszenbaum is the album’s first single,”Stolen Car,” a duet with Sting, which he wrote the music for. Oddly enough, Sting is covering himself here, as it’s a new spin on his song “Stolen Car (Take Me Dancing)” from 2004. Like Mylène’s previous duets with Moby and Seal, Sting sings his parts in English, but Mylène does her parts, which she wrote the lyrics for, in French. And what a wonderful duet it is, a truly intoxicating song if ever there was one. Listening to it, you’re inclined to picture them in parallel rooms, a soundproof wall between them as they sing “please take me dancing tonight.” They both want the same thing, clearly, yet instead of just going dancing, they’re singing about it, hence the metaphorical wall between them. It’s the sort of situation many couples find themselves in, both parties wanting the same thing yet they’re unable to “hear” each other out because of emotional barriers between them. Mylène and Sting’s voices are full of longing here; they’re like two Broadway stars delivering career-making performances. Meanwhile, the music sounds more like classic Mylène than Sting. Perhaps that’s because its producer, Tristan Casara, aka The Avener, opted to make it sound that way, giving the song snappy percussion, throbbing beats and even flourishes of dubstep wub wub. The rest of the album’s 11 tracks were produced by Kierszenbaum and it also sounds like classic Mylène, which makes perfect sense since they co-wrote all of the music. Whereas Bleu Noir sounded like Mylène trying too hard to sound different, Interstellaires finds her sticking with her basic core sound, just adding modern touches to it. And with her co-writing all of the music (except “Stolen Car”) for the first time, it’s arguably the most “Mylène-sounding” album of her career. I realize some might cringe upon hearing that the Cherry Cherry Boom Boom guy produced it, but, rest assured, it does not sound like anything he’s produced before. (Nothing that I’m aware of anyway.) And none of the songs have a “Cherry Cherry Boom Boom” shout out like many of the hits he’s produced in the past. My translation: “See space / Dream of elsewhere / Begin again / In A Better world.” Doing precisely that would seem to be the album’s defining theme. Of course, it’s not a concept album exactly; it’s just a theme that’s peppered throughout it, both in the lyrics and the lush electronic details, which give it a pioneering vibe. Another song that has a sci-fi element to its lyrics is “Love Song” — not to be confused with the Vanessa Paradis song with the same name — which is one of the most stimulating songs on the album with a sing along chorus and a sound that will have you swaying in your seat if not playing air drums to its infectious beats. There are spirited guitars here as well. Also noteworthy is the sweet, mid-tempo gem entitled “A rebours” (“the wrong way”). It’s rather mellow — even for a French pop song — with subtle beats that don’t dare try to compete with Mylène’s vocals, which is a refreshing change from your average American pop songs where the music is louder than the vocals or just about. 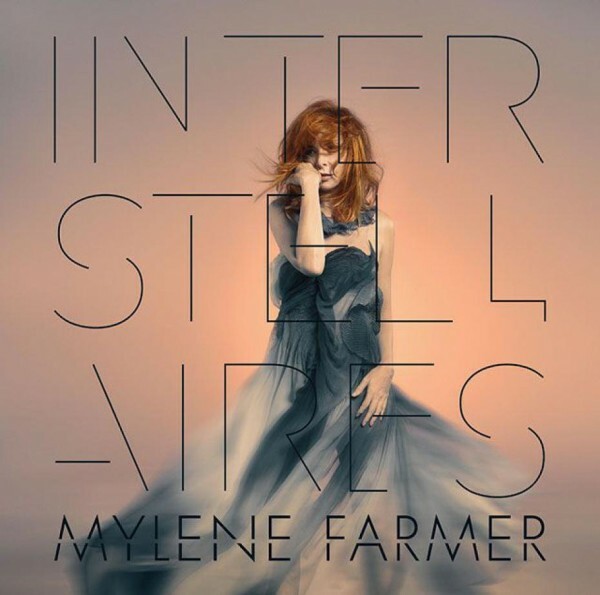 To that end, one of the best qualities about Interstellaires is that the entire record truly allows Mylène’s ethereal vocals to shine, as if she’s singing into a microphone way up in the sky while the musicians perform down on the ground. I can’t help but picture her singing inside of a space shuttle as she floats about due to zero gravity when I hear this one. This helps the album live up to its name which translates as “interstellar,” as you probably guessed. It also gives the instruments room to breathe, to properly spring to life without drowning each other out. The Mylène album Interstellaires most reminds me of is 1991’s “L’Autre…” (“the other”), which had lots of mellow songs with almost under-stated beats.. For example, the new record’s “Insondables” (“unfathomables”) — about one who adores chaos, if I understand correctly — sounds like a new “Beyond My Control,” laid back and haunting. If you’ve never been a fan of Mylène’s music before then I doubt you would care for this album, being that it isn’t that far removed from her past music, just more forward thinking and slightly more visionary. But if you’re a longtime fan, then I should think this will become on of your favorite Mylène albums upon first listen. And don’t worry about the fact that Laurent didn’t produce it. I actually assumed that he did produce it when I first listened to it, prior to reading the album credits. Look at it this way, Mylène has put shiny new bubbles in the bath but she has not thrown away the baby.